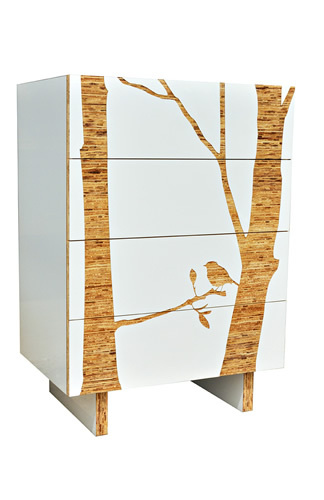 Sleek white gloss laminate makes way for a striking tree and robin cut out of Kirei board on this modern dresser. The Eco friendly storage unit is constructed of FSC certified plywood. This piece would be a chic focal point in a child's room or a natural touch to any space. Find it at Iannone Design.